From novice drinkers to those who have consumed alcohol most of their lives, the majority of drinkers have experienced a hangover at least once in their life. A hangover is a collection of negative effects often including headaches, fatigue, and nausea, often experienced after a session of heavy drinking. This article is a detailed guide to these disagreeable after-effects of drinking, including everything from simple factors like what’s a hangover and how does a hangover feel to more advanced aspects including the statistics in the US related to this issue and tips on how to recover from a hangover. What is the mechanism of hangover emergence? What are the signs and the symptoms of a hangover? How much should one drink to get negative after effects? How long does veisalgia last? What is the difference between alcohol withdrawal, alcohol poisoning, and hangover? What are the related statistics in the US? Are there people that experience no hangover after drinking? Is it a sign of alcohol dependence? Do hangovers contribute to alcoholism development? What are the signs a hungover person needs medical attention? Veisalgia, or the more commonly used term, “hangover” relates to disagreeable physical effects following the consumption of alcohol or other psychoactive drugs. Simply put, the hungover definition includes a severe headache or several other negative after-effects following excessive drinking. The severity of these disagreeable physical aftereffects of drunkenness varies from one person to another. People often speak of experiencing a different hangover after different alcoholic beverages such as beer, wine, and distilled spirits. These uncomfortable effects can last from a few hours to well over a day for different people. Instances of a 2-day hangover are also not unheard of especially among those who are over the age of 35. Therefore, it is not possible to give an exact hangover definition that suits everybody. Most commonly, these negative effects include nausea, dehydration, and fatigue. The more severe cases of these negative effects after alcohol intake include experiencing mood disorders such as depression and anxiety as well. Apart from these direct negative after effects, hangover effects can also compromise the safety of day to day activities such as driving and operating machinery. Alcohol is a diuretic substance, which means that they increase the production of urine. The human body breaks down alcoholic beverages into different compounds. This results in signaling the kidneys to urinate more, which eventually causes dehydration that is a large contributing factor for hangover symptoms. While there are many debates as to what exactly causes these negative effects, the condition that is called “metabolic acidosis” is considered to be a large contributor to hangover emergence. The metabolism of alcohol causes acetaldehyde, which is further metabolized into acetic acid, a process that happens within the mitochondria. This eventually leads to the dehydration and volume constriction decreasing the functions of the kidneys causing symptoms of being hungover such as fatigue, severe bodily dehydration, and nausea. How long does it take to process alcohol completely depends on the amount of alcohol and the different metabolic processes of people. As it was discussed above, the signs of a hangover often vary from one person to another. Following are some of the most common signs of a hangover and a few more symptoms that are occasionally observed in people as negative after-effects of drinking. Understanding these alcohol hangover symptoms help find remedies and relief quickly, and also seek medical attention when needed before the condition turns too severe. How Much Alcohol Does It Take To Get a Hangover? There is no “magic number” when it comes to the amount of alcohol one has to take to experience disagreeable aftereffects of drinking. For some people, it takes quite a large amount of alcohol, while others may experience feeling sick after drinking small amounts of alcohol. The amount of alcohol that can be consumed without having to experience any negative aftermath depends on a variety of factors including a person’s alcohol tolerance levels, age, gender, body weight and the type of the alcohol. Moreover, those who have had a full stomach of food before drinking and who hydrate themselves well during and after drinking has fewer chances of getting hangover side effects than those with an empty stomach, regardless of the factors mentioned above. 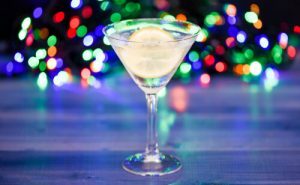 The exact chemistry behind having negative effects after getting drunk, or “hangover science” is still being researched and debated. There are many chemical suspects that likely contribute to making a person hung over. It is common knowledge that a person has to reach a blood alcohol concentration of at least 0.1% before they experience the negative aftermath of drinking. Acetaldehyde accumulation caused by alcohol is known to be a strong cause for this phenomenon to occur inside the body. Alcoholic beverages with congeners or toxic byproducts of fermentation often give stronger after effects, showing that they are a strong cause of negative physiological effects after drinking as well. The hangover feeling after a night of drinking is often brushed off as something not very serious by many. Age is one of the simplest and easily understood risk factors when it comes to this. A person who used to power through the negative after-effects of drinking and has a normal life day after day during their early 20s should not expect their body to have the same level of metabolism and tolerance when they are in their 30s or 40s. How Long Does Hangover Last? The most common answer to how long do hangovers last is less than 24 hours. The signs and symptoms of them start appearing within a few hours after drinking when the BAC (blood alcohol concentration) count starts decreasing with time. The peak moment of these negative effects is usually when the BAC count hits zero or when people sober up, and these effects stay on for several hours depending on the risk factors mentioned above. When asking the question of how long does hangover last, it is important to understand that they happen for a reason. It is a cry from the human body asking for homeostasis, or to show that excessive drinking does not appeal with the bodily functions. There is plenty of different negative after-effects of drinking, and hangovers are only one of them. Due to the similarity of the symptoms, these conditions are often misunderstood. It is important to understand these variances since conditions such as alcohol withdrawal and poisoning need more serious treatments and care than hangover recovery. As opposed to hangovers, which happen as a result of excessive drinking, withdrawals happen when a person has little to no alcohol in their bloodstream. Withdrawal symptoms appear only when a person’s brain is too dependent on alcohol for regular functioning. It happens as a gradual process over some time with excessive and frequent drinking, and the brain starts relying on the effects of alcoholic beverages to maintain a neurochemical equilibrium. This also happens as a result of excessive drinking similar to hangovers, but the severity of this condition is considerably higher, with the possibility of getting deadly if needed medical attention was not given at the right time. While the human body can usually manage hangover alcohol detoxification with proper hydration and aftercare, withdrawals and poisoning require proper medical attention. 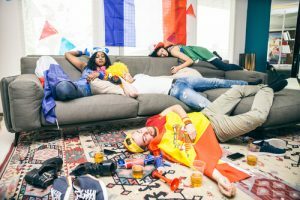 As a condition that comprises a person’s ability to perform day to day activities both personally and professionally, studies suggest that employees who frequently suffer from hangovers at work have a significant negative impact on the US economy. In the year 2010, the overall cost the country had to endure due to the excessive alcohol usage came close to 250 billion dollars. Of these figures, 77% of the cost was due to binge drinking or consuming a large amount of alcohol over a short period. It was also reported that over 80,000 people die as a result of excessive alcohol use every year. 50% of employees in the US workplace has gone to work hung-over. Interestingly, 52% of women have reported working while experiencing drinking after effects, and 50% of men have done the same, even though the male gender is reported to be more prone to excessive drinking. The way drinking negatively affects workplace productivity is a widely known and ongoing issue. Workers in the hospitality industry and waiting staff are the most likely to show up to work hungover, mostly due to their easy access to alcohol. Why Don’t Some People Get Hangovers? The different metabolic processes in people contribute to the way their bodies react to the consumption of alcohol. This answers the question of why do people get hangovers and why some people just do not. As mentioned above in the risk factors, some people have a biological advantage of not experiencing severe negative effects after drinking. There are also studies that suggest that the genetic structure of a person contributes to their development of tolerance for alcohol as well. Is A Hangover A Sign Of Alcohol Dependence? Having disagreeable physical aftereffects of drinking do not suggest that someone is dependent on alcohol and reqiures problem drinking treatment. It is a different condition called alcohol withdrawal, which is explained earlier in this article. However, having regular unpleasant drinking after effects, or 3-day hangover episodes that do not seem to go away, suggest that a person is consuming too much alcohol too regularly, which can lead to developing alcohol dependence later on. There is no direct correlation to negative drinking after effects being the cause of alcoholism or addiction to alcoholic beverages. 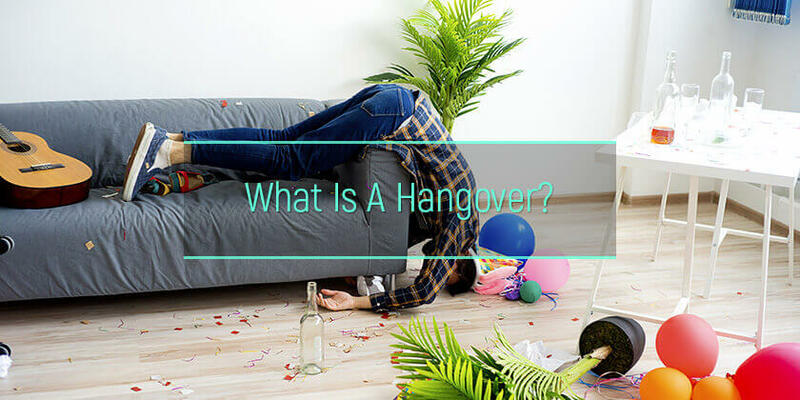 However, looking at the answer to the question of why do hangovers happen, those unpleasant symptoms appear as a result of the body responding to lowering blood alcohol levels of a person after excessive drinking. Therefore, some people may opt to keep drinking alcohol in order not to feel the hangover or withdrawal effects, which can be seen as a contributor to alcoholism in the long run. Typically, a person experiencing negative effects after consuming alcohol tend to get better in a matter of hours as the body gets back to a balanced state with rest and proper hydration. However, following signs of a hungover person calls for immediate medical assistance. Regardless of how normalized negative drinking after effects is in society, it is always good to be aware of how to avoid hangovers. Any negative reaction from the human body is a cry for help and should be prevented and treated if someone longs to be healthy and happy in the long run. A proper understanding of why do you get hangovers helps to prevent it. Dehydration caused by alcohol is a huge contributor to severe negative after effects. Therefore, keeping the body well fed and hydrated is a crucial part of responsible drinking. Moreover, avoiding drinks with high congener levels such as bourbon whiskey and brandy, or what is called “dark liquors” is also a good measure to take. Resting and hydrating should be the first steps to take to get rid of the symptoms. If somebody is in a hurry, they can opt for an off the counter “hangover pill” such as Ibuprofen or Aspirin that would considerably lessen the severity of symptoms such as headaches. In case the person drinks a lot, and even constant hangovers do not stop them, it might be a sign of a problem. Contact one of the alcohol dependence rehabs to get help.